Being trendy is not the only thing that your cut and color should be about. It’s about looking your best and achieving a look that suits you as an individual, your face shape, image, hair challenges and lifestyle. From classic to high style, curly to straight and back again, the stylists here can accommodate your cut and style needs. COLORBAR is known for its ability to fulfill, and more importantly, exceed the expectations of a diverse clientele. We believe that communication is the key to success. COLORBAR invites you to make an appointment for a free one-on-one consultation to discuss a plan for a total look that is uniquely yours. Escape to a resort-like spa experience without the travel time or expense. 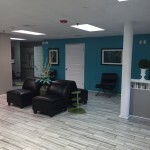 Choose from luxurious spa treatments and packages including massage therapy, rejuvenating facials, manicures, pedicures, waxing and hair design, plus a full array of spa services. Get radiant results with our cleansing, exfoliating, and rejuvenating treatments, customized for your individual skin condition. 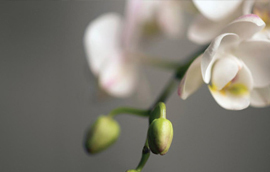 Our NEW highly experienced esthetician will help you achieve the refined, luminous skin you desire through facials, peels, and/or microdermabrasion and specialized home care. 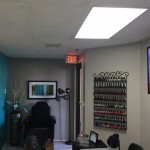 A full range of services, including manicures, pedicures and waxing, are performed in an exclusive nail salon. Relish in the Color Bar experience. 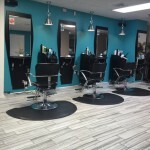 Our team will indulge you in the art of the shampoo, amp up your color, and revolutionize your tresses. Our expert stylists are savvy and cutting edge with all textures and looks but they are not just about hair. They are trendsetters in style as well as hair design. 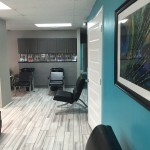 Working with you to create a look unique to you, our full service salons are chic and modern while being warm and welcoming. Few things make a woman feel so totally pampered as a full-hand treatment. Hand massages, scrubs, moisture masks, paraffin dips and more will leave you nicely relaxed. All manicures use tools sterilized right at your table in 425°F dry heat. We also use specially formulated OPI Expert Touch lacquer remover to remove gel polish that is non-drying and leaves your cuticles soft and smooth. We use the safest, most effective equipment and procedures so you’re guaranteed the best service.